The town of Fredrikstad is approximately 80 km south of Oslo close to the E6 motorway linking Oslo and Gothenburg. Approaching from the south turn off the E6 on to route 110 signposted to Fredrikstad. Follow R110 for approximately 14 km to the junction with R111 approximately half a kilometre before the tall river bridge which can be plainly seen from this point. Turn left at this roundabout towards Torsnes and the R107. After approximately 1 km, and just before the sign indicating the left turn on to R107, turn right into an unclassified road. 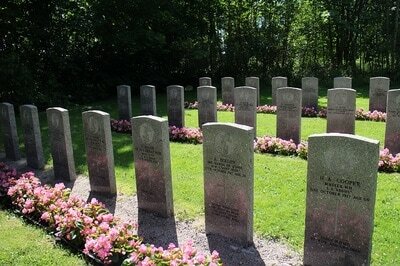 The cemetery is 100 metres along on the left hand side with a small gate leading directly into the war graves plot. The original Commonwealth war graves plot at Fredrikstad Military Cemetery contained the graves of 18 seamen who were killed at the Battle of Jutland in 1916, only seven of them identified by name. The graves were marked by a granite memorial erected by the Norwegian government. 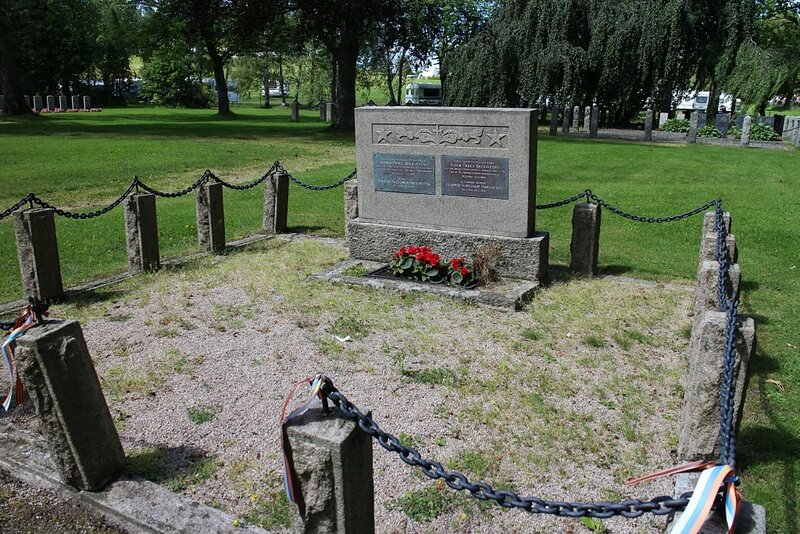 HMS India - armoured merchant cruiser, sunk by submarine 8 August 1915 in the Vest Fjord. HMS Mary Rose, HMS Strongbow - destroyers, lost in action 17 October 1917, on convoy duty. HMS Marmion - destroyer, lost in a collision 21 October 1917. HMS Partridge - destroyer, lost in action 21 December 1917. 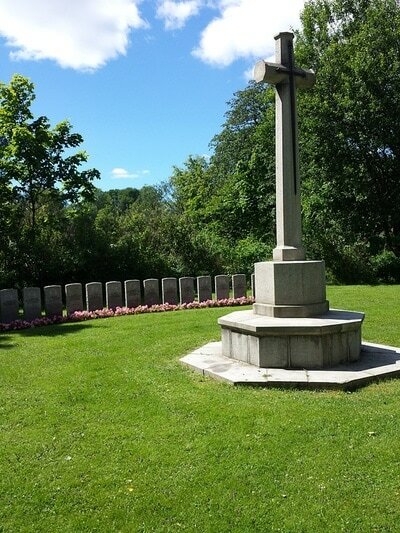 The cemetery now contains a total of 82 Commonwealth burials of the First World War, 51 of them unidentified. 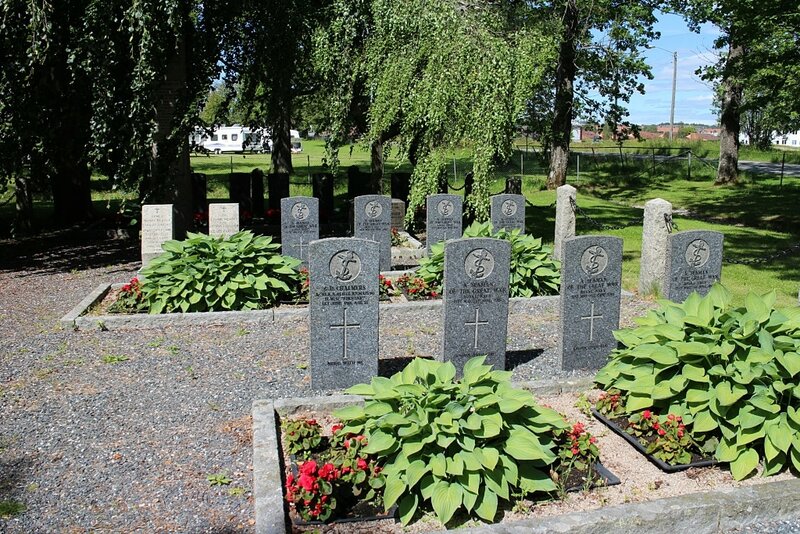 *The burials brought into Fredrikstad Military Cemetery were from cemeteries and churchyards at: BORGUND; DOLM I HITRA; FEDJE I LINDAS; GULEN, HARAM; HARBAKKE I SOLUND; HEIM I HEMME; HERDLA; HUSOY I SOLUND; KINN; LODINGEN; MOSKENES I FLAKSTAD; NORVE I AALESUND; ROAN I BJORNOR; SELJE; SLETTEN I FROYA; SONDRE VAGSOY I SELJE; STROMMEN I SOLUND; SULEN I FROYA; TITRAN I FROYA; TJOTTA I FLAKSTAD; TUNSTA I HALSA; VAGAN; VEGA; VEROY and VILNES I ASKOVELL.